Shipbuilders know the old maritime tradition of placing a coin for luck beneath a vessel’s keel during the keel-laying ceremony. Later in the vessel’s construction, coins are placed beneath the mast in the mast-stepping ceremony. These practices might date back to the Greek and Roman practice of “paying the ferryman”: That is, providing a coin for the ferryman Charon to transport souls across the river Styx into the underworld, should there be a disaster on the water. In modern times, vessel safety has increased by leaps and bounds. We have learned to rely on better vessels, practices, and training, while continually incorporating safety lessons. Tradition aside, tributes to Charon are less frequently collected for mariners and passengers. Passenger vessels that ply the open oceans are subject to International Maritime Organization (IMO) rules, which demand that each vessel have a safety management system, or SMS. But domestic vessels – including, somewhat ironically, ferries – are not subject to IMO rules. For many years, the NTSB has recommended that operators of domestic vessels also be required to develop these systems. An SMS is a way to bring together all the safety knowledge critical to a vessel’s operation. A good SMS does not need to be lengthy. But everybody who plays a role in a vessel’s safety should be able to use it. An SMS should include a top-to-bottom risk assessment, to identify the biggest risks that a specific vessel faces in the course of its operations. It should also include the safety-centered practices and procedures that address these risks. It should provide documents and training for those practices and procedures, and it should provide for internal and external audits. In 2003, the NTSB investigated a tragic ferry accident in New York. The ferry Barberi struck a pier at full speed, killing 10 people and injuring 70, 19 of them seriously. The captain had left the assistant captain at the controls unsupervised, and the assistant captain had allowed a lookout to leave the pilothouse. Then the assistant captain blacked out at the controls. Other crew members were unaware of the approaching danger. Despite working public address systems, there were no warning announcements. Only one of the 15 crew members recognized the danger and relayed it to passengers. Even after the ferry struck the pier, crew responses were not coordinated. Crew members were not trained in important aspects of emergency response, such as crowd control. 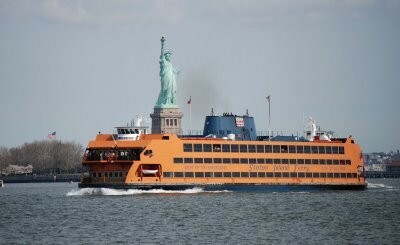 After the accident, New York City’s Department of Transportation began work on an SMS for its ferries. Seven years later, in 2010, the very same ferry struck the Staten Island terminal. This time the cause was a loss of propulsion control. But in between the two accidents, New York City’s DOT had implemented its SMS. Personnel in the 2010 accident knew and understood the SMS, and carried out their designated emergency response procedures effectively. Employees were trained in 12 different emergency response scenarios, including loss of propulsion control, allision and collision response, and post-accident crowd control. The pilothouse crew warned passengers over the public address system and sounded the danger signal. The deckhands began directing passengers away from the Staten Island-end. A shoreside operator of a transition bridge, in accordance with his training, remained at his position and aligned the bridge with the vessel’s main deck. Had he not done so, the bridge could have severely injured passengers waiting to disembark. In the second accident, nobody died. Three passengers were seriously injured. Forty-seven crew members, passengers, and others reported minor injuries. When passengers embark on a voyage – whether it is a long ocean cruise or a part of their daily commute – an SMS helps ensure that they disembark safely on the opposite shore. The NTSB is encouraged by the Passenger Vessel Association’s “Flagship” project, a model SMS that can be adapted to many types of vessel operations. It is also heartening to see operators, like New York City’s DOT, voluntarily incorporating SMS into their domestic vessel operations. Developing and implementing an SMS does not have to be expensive, and should constitute the new maritime tradition for passenger vessels. Investments in Marine safety are better than tributes to Charon, no matter how infrequently collected.